I feel very fortunate to have got through my teens without any acne or oily skin conditions. I have however been unfortunate in inheriting my families very dry skin instead. Ever since i was about 14, i have had to moisturise every single day. Not out of vanity but out of necessity. I have dry skin all over my body but the main area i have the problem with is my face. It's so bad that when it is really cold outside, i can run a fingernail over my nose and sheds of skin come off (gross). 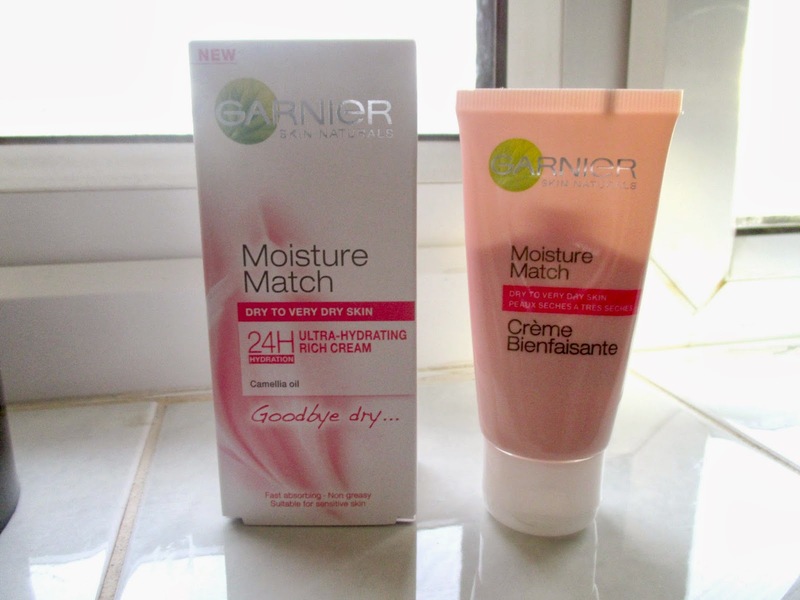 I have tried every brand of moisturiser under the sun, even prescription creams don't help but then i came across Moisture Match in a magazine and it came with a free sample. Conveniently, this sample was for dry to very dry skin and after using up the tiny amount in the packet, i was hooked. Last week i went to Boots and bought a full size tube at a fairly reasonable price of £5.99. The texture of it is similar to Norwegian Formula moisturiser, it comes out stiff but once you rub it between your fingers it melts and makes application very easy. I apply it in a morning and before i go to bed and after seven days of useage, i can tell a massive difference. My skin feels hydrated and smooth, the kind of skin i have been wanting for 13 years. When i apply it, it doesn't leave a greasy residue like many of my past moisturisers have and it's absorbed quite quickly. Another thing i love about this moisturiser, is that it comes in five different varieties. I love the fact that Garnier have created a range of moisturisers made for different skin types instead of a 'one size fits all'. After all my time of trying different brands trying to get my perfect match in making my skin less dry, Garnier have nailed it with this one.